With the advent of internet the world became a lot more connected. We connect through a lot of ways, from emails to twitter we’ve come a long way. In a time when richest people on earth are tech entrepreneurs, everyone has to be connected and mobile apps are already defining the future of a connected world. Android having more than 2 billion users is the most used mobile platform in the world. Also mobile data usage has finally surpassed desktop data usage as nearly 60% of the total searches around the globe happen on mobile devices. More than 90% of mobile data is spent on apps, apps that range from every field there is out there. 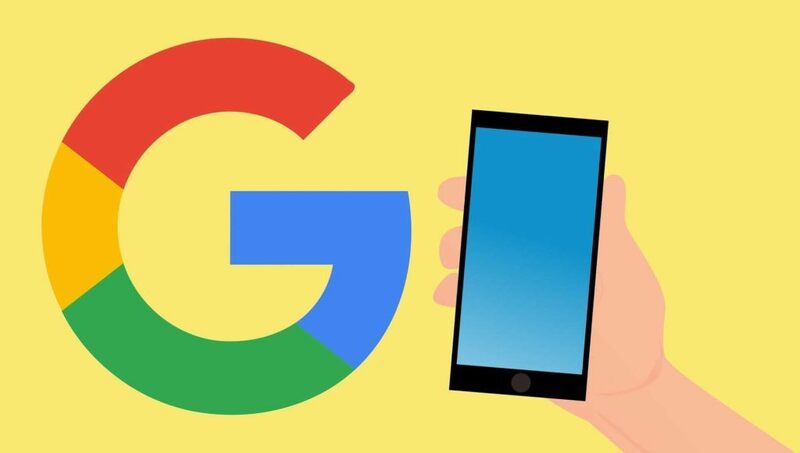 Having so many users gives unprecedented reach to Android, reach that is unparalleled and extremely lucrative for both established and upcoming businesses. That’s the reason why old businesses are trying to adapt to this changing and challenging environment. Making apps about themselves while new businesses are keeping android apps in mind from the get go. Indian app developers are on the rise as India has already become the world’s fastest growing market for apps. Many of the new business models are based on apps, whether it’s ride sharing or food delivery. Everyone wants a slice of this ‘2 billion user-pie’. That’s why the demand for an android app developer is on the rise. The beauty of apps is that they can be about anything, that’s the reason we are seeing so many app developers starting out and learning how to build android apps for the mobile first world we’re living in. First things first, figure out your target audience. Research how the app can be of use to you. There’s no point in going through all the hassle and money if the app isn’t of any use to you. Think about what you want in your app and how it might help you. Apps have become a necessity for many businesses nowadays, and thus it becomes important to figure out your objective to build an android app. Do you want to boost engagement? Drive sales? Increase brand awareness or all of them? The benefits of an android app can be many. Before hiring an android app developer, don’t forget to answer these questions on why do you need an app in the first place. A lot of brands do this mistake of not giving enough thought over this question and thus, it is one of the mistakes to avoid before mobile app development commences. Android platform gives a level ground to everyone. You’ve make the most out of it. App developer can’t make an app that will be of any help to you if you don’t know what you need. Consider all these factors before hiring an android developer. There are a lot of android developers out there, but you’ve the hellish job of hiring the right one while being within your budget. Beware though it’s not a piece of cake. You’ve to get the best bang for your buck and build an android app that gives you maximum return on your investment. Freelancers and students will do it for fairly cheap but their work may or may not be satisfactory. That’s why it is recommended to consult an android application development company they will give you professional quality, reliability and unmatched support albeit at a higher cost. Weigh your options beforehand, don’t rush into a decision you might regret later. Know your needs about your app and the right android developer for your project. As the old proverb goes -’ Rome wasn’t built in a day’. Surprisingly same goes for android applications. Anyone who thinks that an app developer apps can code overnight, is terribly mistaken. Although it depends on the complexity of your application, even a simple app might take weeks to be completely developed. You don’t want a half-baked app that gets bad reviews on Google Play Store and doesn’t even get minimum number of downloads, right? Let the nature take its course, whether it takes weeks or months. Android mobile application development takes time, rushing into releasing the app before it’s ready would do more harm than good. Not to forget that a low quality, less responsive android app might tarnish your brand’s reputation. Keep yourself updated about the development process but let the development take it’s time. 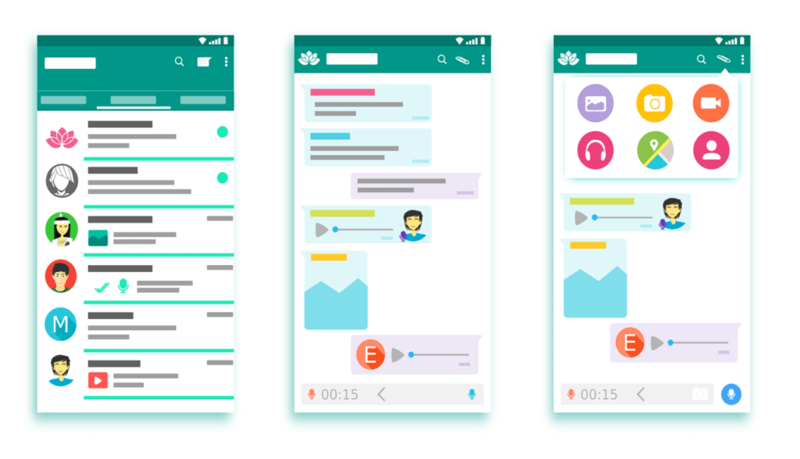 Release the app to public only when you’ve tested for bugs or loose ends and feel completely positive about the interface, features, functionality, responsiveness and experience. Developing android apps is hectic and hard work. An application is only as good as the developer. Before you hire android app developer, whether a freelancer or a professional android app developer, look at their portfolio first. Developing android apps is hectic and hard work. An application is only as good as the developer. Before hiring an android developer, whether a freelancer or some professional, look at their portfolios first. Make sure they have done something like what you’re looking for. Development takes time and money, both of which are limited and valuable. Look into your app developer’s past projects and prior experience to know everything there is to know before signing them. You don’t want to hire an android app developer who burns through your pocket and in return gives you less than satisfactory results. Also ask the android developer about maintenance. From development to release and beyond. you might have to release updates or bug fixes. Android’s mobile application development is as important as having an app in the first place. Ideally, before hiring an android app developer, it is best to check and consider about the maintenance schedule of the app as well. Since app’s developer will be well aware of app’s design elements and code and it’ll be much easier to add new functionality or do bug fixes. Another aspect that you should clear with your developer is NDA (Non Disclosure Agreement). You definitely don’t want an android app developer to steal your idea and sell it or show it as their own. Coding an android application is only half the story. In the time and age where one can literally order food from hundreds of different apps, having an android app is simply not enough. Whether your objective is to increase business, sales or boost engagement, if the experience and interface of your mobile app isn’t satisfactory, it won’t get you closer to your goals. Keep that in mind while the mobile app is still in development process. Good User Interface (UI) and User experience (UX) are two vital ingredients for creating the recipe of a good android app. You don’t want just a functional app. 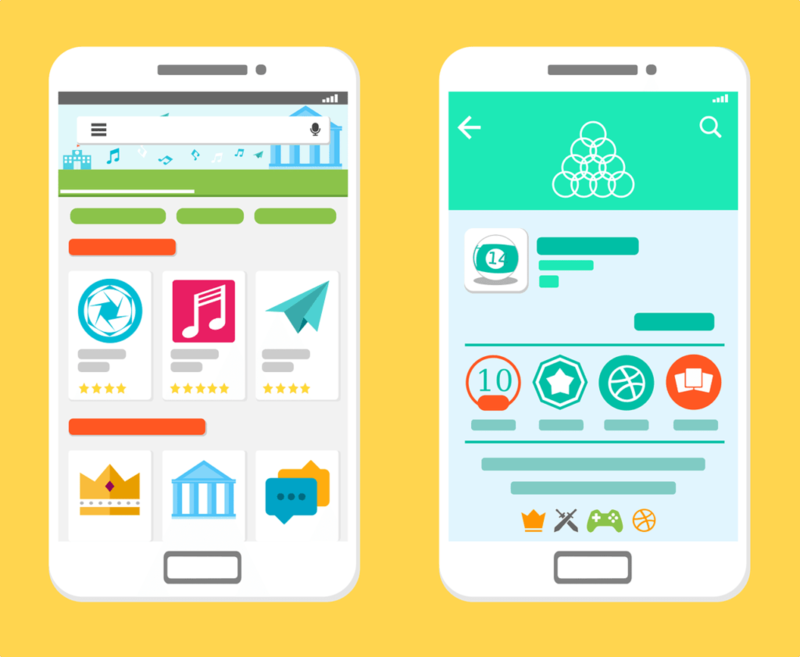 Because of the high competition in android app development market today – you want an app that is user friendly, responsive and engaging by design as well as functionality. It will not only help you achieve your business objectives but will also make your more confident of your product. Be as involved in the development process as much as you can. Guide the android app developer through the android mobile application development process as possible. Remember that an app developer is making an app on an idea that’s yours. Thus, your involvement in the mobile app development process matters a lot. Instead of adding unnecessary functionalities and complexity, get your developer to make it as simple as possible. The simpler the app is, more users will enjoy using it. Android app development isn’t rocket science, but it’s no cakewalk either. 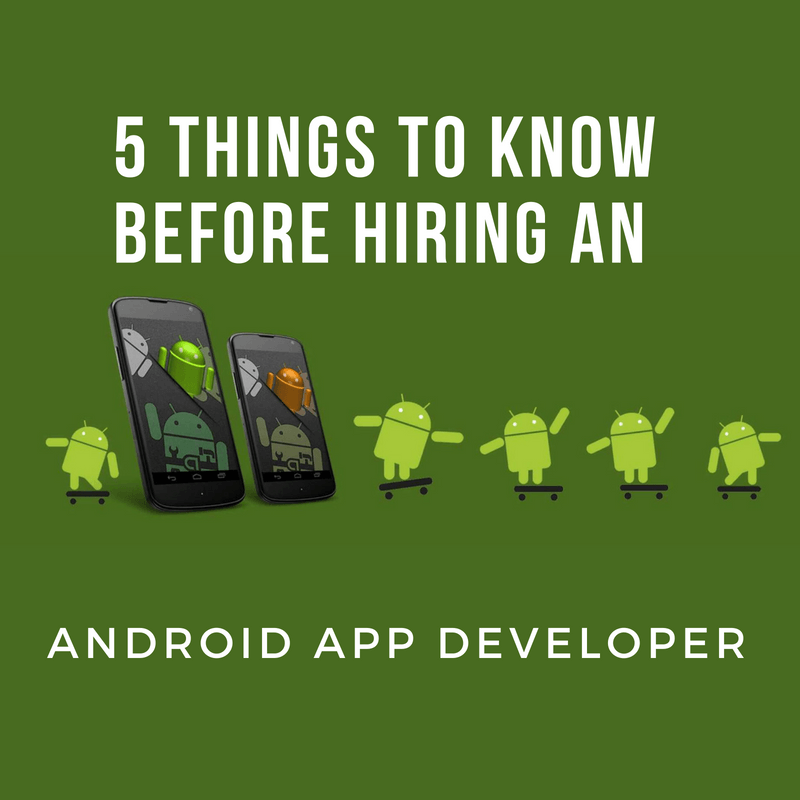 No matter what is your objective behind building a mobile app, keep in mind these 5 things before hiring an android app developer for your project. 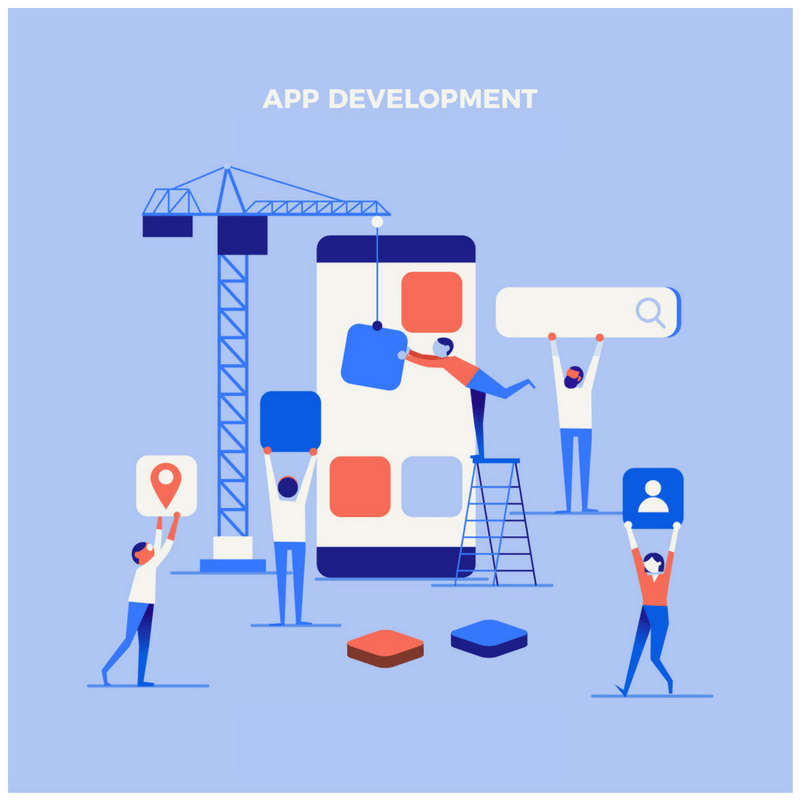 If you are instead searching for professional android app development company in India, we at Moptra Infotech can transform your idea into a reality. 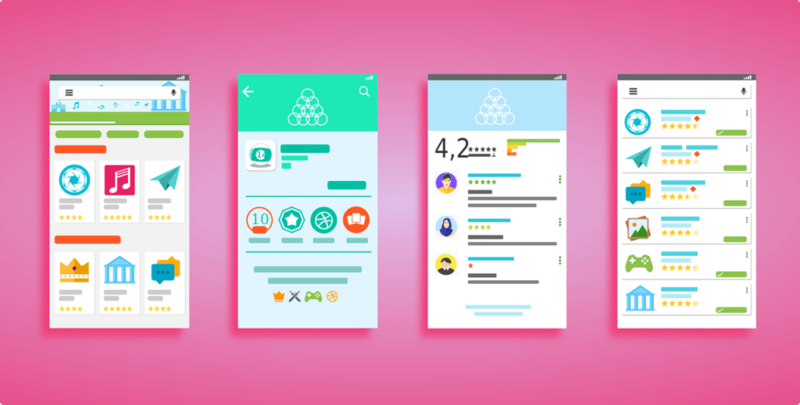 Our team of experienced Android app developers are adept at building reliable, beautiful and functional apps to suit your specific business needs. Talk to us today and let our expert android app developers take away your worries so you can focus on your core competencies.